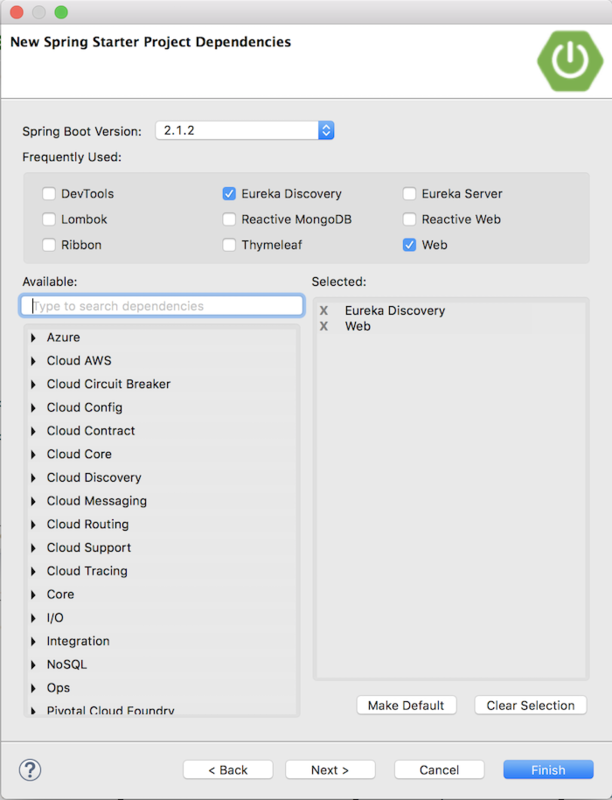 In the previous tutorial, I introduced you to the Eureka Server to allow services in a Microservices system can register and search for each other. 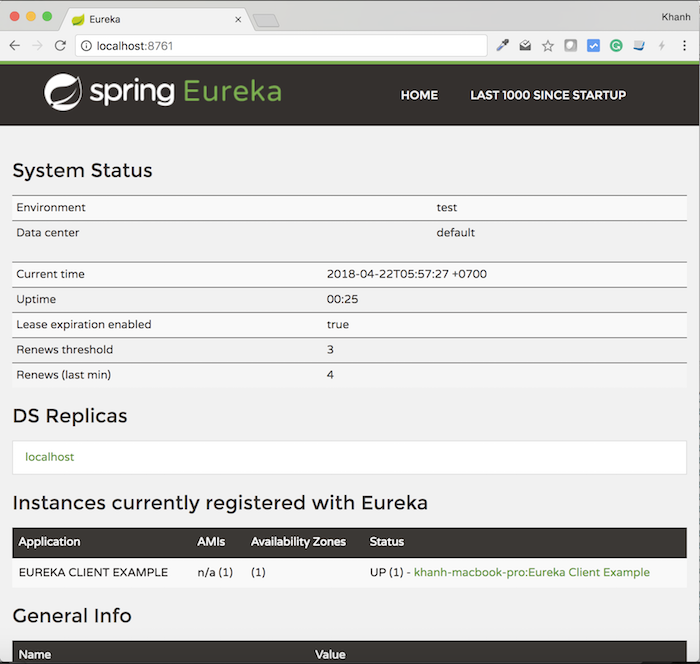 In this tutorial, I will show you how services can be registered with Eureka Server using Eureka Client, with Spring Cloud Netflix. First of all you need to declare our application as an Eureka Client first. To do this, declare annotation @EnableEurekaClient to the main class of the application. 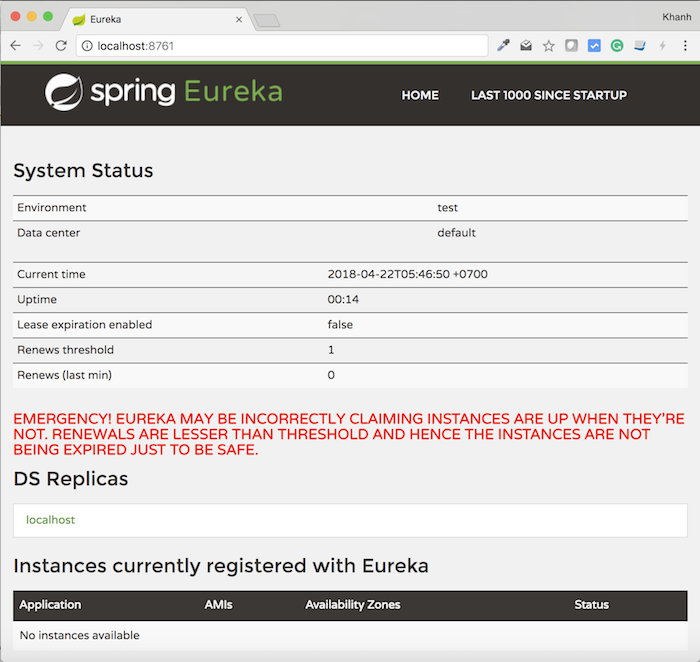 The second step, we need to do is declare the Eureka Server information in the Spring Boot application.properties configuration file. The last step is to identify our service with other services, you need to name our application. 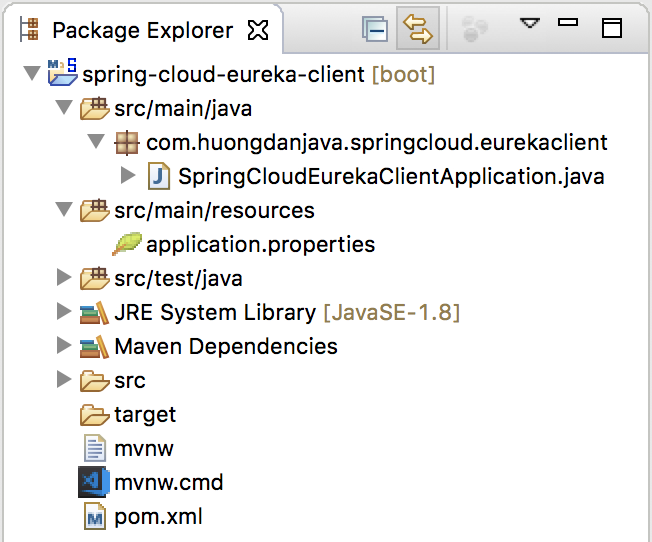 We will use the spring.application.name property and declare it in the configuration file of the application, application.properties, to do this. As you can see, in the “Instances currently registered with Eureka” section, the application which we just created, has registered with Eureka Server and is ready for other services to find it.